The All Things Japanese Sale is a large rummage sale featuring a wide variety of Japanese items for purchase including dolls, furniture, fans, clothing, accessories, plush toys, jewelry, books and much more. There is something for everyone with hundreds of items for sale and prices starting at just $0.25! 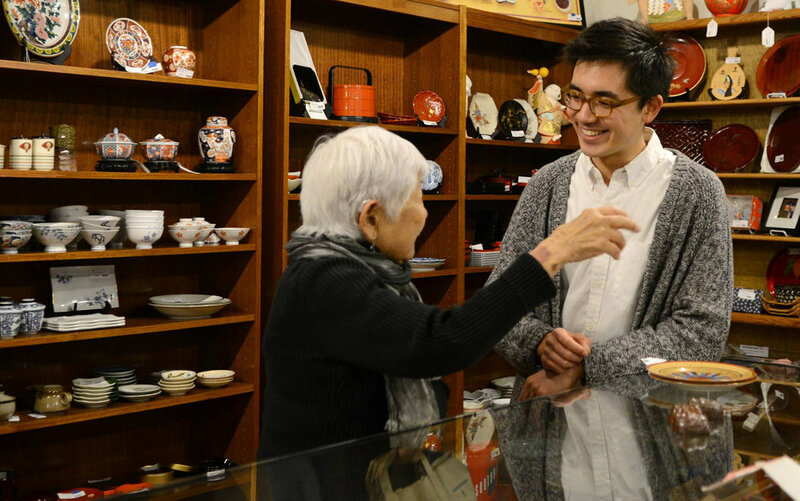 Income generated from the event will go toward supporting the mission of JCCCW to preserve, promote, and share Japanese and Japanese American culture and heritage. Learn more about donation drop-off days and our special Preview Sale below. Donate your Japanese Items! We are accepting all Japanese art, antique, vintage, household and collectible items from NOW until Wednesday, August 14th. Drop-off is located in the alley off of 16th Ave S. between Weller St. and King St. Drop-off time for Japanese items are as following. • Monday through Friday: 10 a.m. to 5.p.m. • Saturday: 10 a.m. to 3 p.m.
• Drop-off assistance dates are available Tuesday, July 24 from 5 p.m. - 7 p.m. and Saturday, July 28 from 10 a.m. - 3 p.m. If you want to beat Saturday and Sunday's ATJS crowd, you can enjoy a Preview Sale on Friday, August 16th from 6:30 p.m. to 8 p.m. Come check the merchandise before anyone else! Prepaid admission will be available online at a cost of $20 for JCCCW member and $30 for non members. Admission at the door will be $30 for JCCCW member and $40 for non members. More details on the Preview Sale will be announced soon. Copyright © Japanese Cultural and Community Center of Washington. All rights reserved.